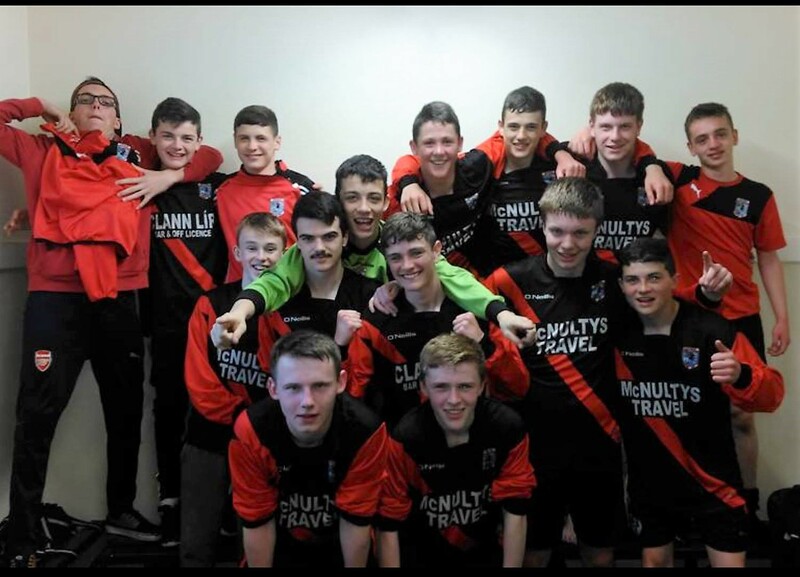 U15s earn a well deserved draw! Iorras U15s earn a well deserved draw! Europa league had to take a back seat this eve as the Iorras u15s entertained Westport at Carnenash this evening 18th in a very entertaining match. Both teams played open attacking football throughout and found both defenses in no mood to let players through, with Fiachna, Luke, Niall, Shea and John holding firm. No score at half time, although the home side had the better chances with Dara seeing his efforts sail wide of the target, after good work from Robert in the middle. The game then saw Westport score first with the Iorras defense screaming handball, but the ref was not interested. This sparked the lads into life and they were level within minutes when Diarmaid chipped the Westport keeper in delightful fashion after good work from the midfield of Owen, Daithi, Eamon and Mark. 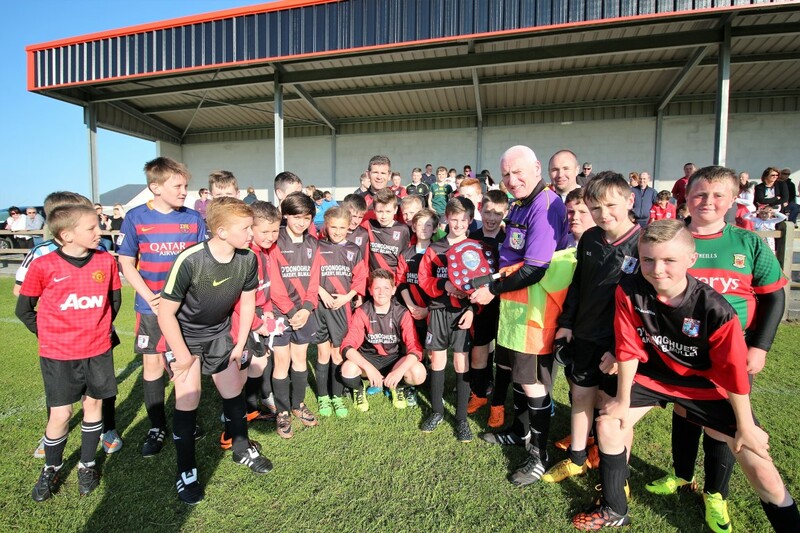 Both teams had chances to win it, but all agreed a draw was a fair result. The subs of Padraig, Matthew and Daragh all made an impact in the second half and thanks to all the home supporters for all the noise in the stand, especially those who thought we had won the game near the end! Commiseration to all Liverpool fans on a very disappointing night. Comments Off on U15s earn a well deserved draw! 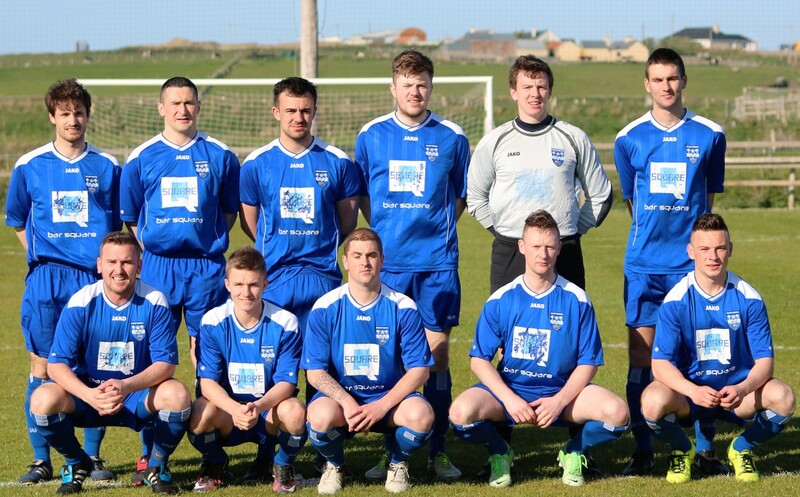 It certainly was an evening to forget for Iorras when they slumped to a 6-1 defeat at home to Ballina Town on Saturday evening the 14th in a Super league nightmare. 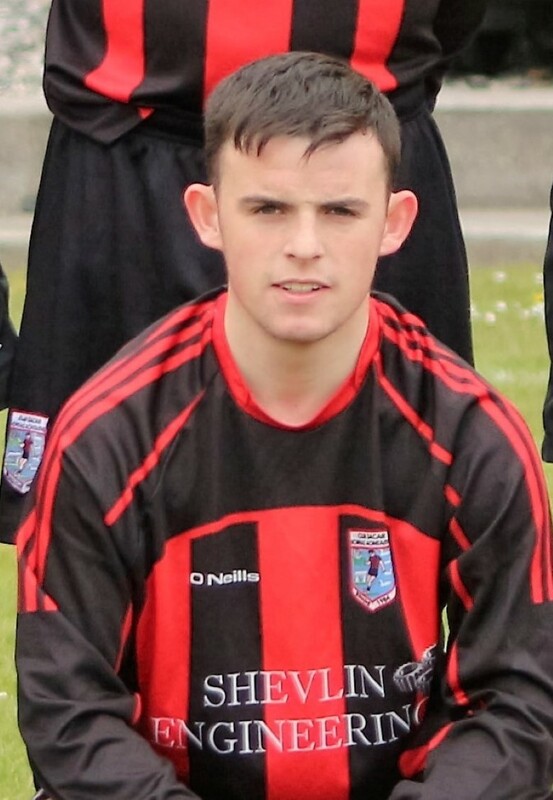 Goals from Benny Lavelle on 42, 52 and a penalty on 71 minutes which resulted in Eamon Carey been red carded, Micheal O’Hora on 63 minutes, Jamey Cawley on 65 minutes and Dylan McKay on 89 minutes. Garth O’Malley scored a consolation effort on 90 minutes. 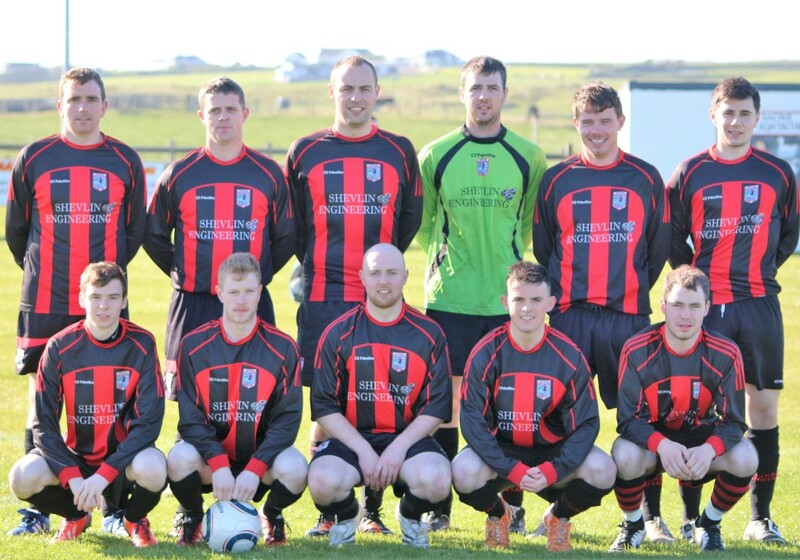 Next up for Erris is Ballyglass away on Sunday 22nd with 2.30pm ko. Jason O’Donnell had Erris in front with a headed effort. 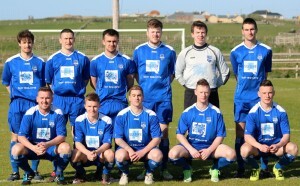 Iorras Aontaithe were away to Ballyheane on Saturday evening the 7th in the Super League and they picked up their first three points of the new campaign with goals from Jason O’Donnell a header, with Brendan Nallan the provider, the first half ended 1-1 but an excellent second half effort from Ryan Ruddy sealed the points half way through the half. Jason O’Donnell could have scored his second goal in the encounter but his effort was just over. 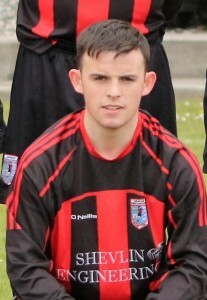 Ryan Keane made his senior debut for the club coming on in the second half for the injured David Reilly. 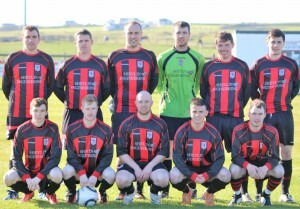 Erris Utd are at home to Ballina Town on Saturday 14th with a 6.30 ko. Iorras U15 team exit the cup! The u15s lost 4-2 at home to Westport in a windy encounter in Carnenash today 7th, even though the home team scored 4 of the 6 goals! Iorras went 1-0 up with a penalty from Shea, but Westport went ahead immediately when Iorras scored 2 own goals, to leave it 2-1 at half time. 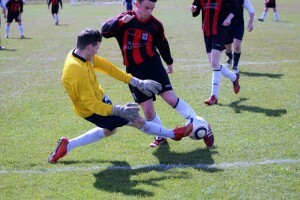 Daithi scored a neat goal in the second half but Westport ran out 4-2 winner to progress to the next round. 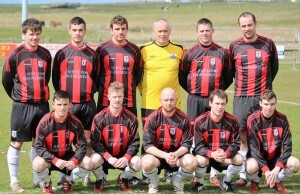 Next up is an away game to Ballina next Wednesday 11th. Comments Off on Iorras U15 team exit the cup! 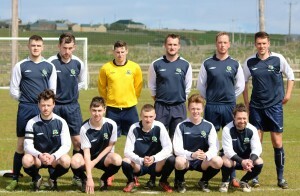 Iorras U17’s on a roll. Iorras cut loose in the second half with a goal each from Mikey Lavelle,Dylan Walker,two from Luke o Reilly and a belter from Mikey Conroy,plus a hat trick from twinkle toes Padraig Monaghan one a classy back heel, not often a player scoring a hat trick is over shadowed but Keith Kennedy takes all the limelight today after scoring his first ever goal for Iorras,for years the topic on the bus home or dressing room banter was about how close Bob came to scoring,well Keith your day in the sun has come and what a strike to end your goal drought and has promised more to come(Mikey Lavelle he coming after your boot). next up for Iorras u17s is home game next Monday against Manulla. 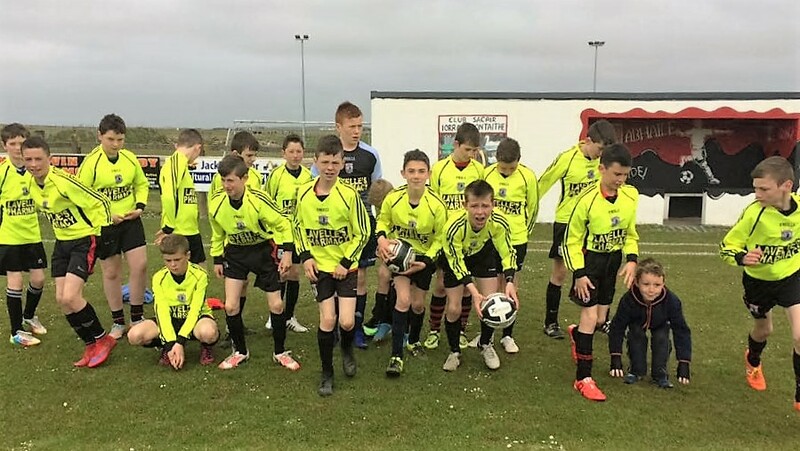 Erris Utd have discovered the kind of form which has eluded them in their recent league outings to progress in round one of the Westaro Cup at sunny Carne Nash. 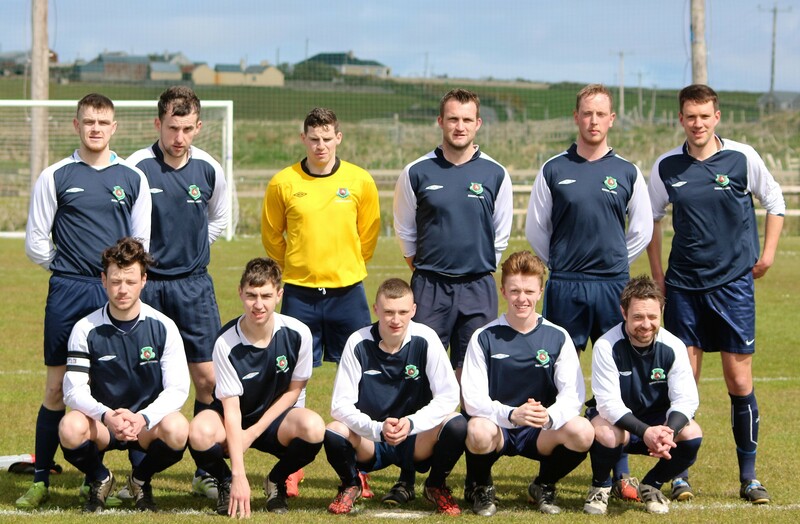 With a break in Super league action, Iorras & Glenhest locked horns in round one of the Westaro Cup at Carne Nash on Sunday 24th, Final score Erris Utd 2 Glenhest Rovers 1. Glenhest Keeper, Mickey Davitt blocking a shot from Ryan Ruddy on 20 minutes but Ryan opened the scoring for Iorras five minutes later. Iorras were in front at the break with goals from Ryan Ruddy (25 minutes) with Kyle O’Reilly the provider and a Jamey Flannary headed effort on 32 minutes. Glenhest pulled one back on 65 minutes when Paddy Mulchrone found space in the box. 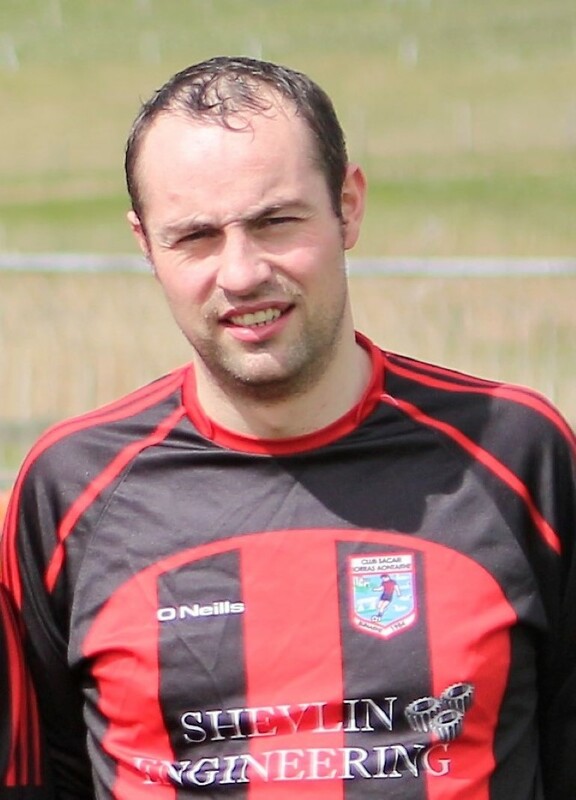 The best chance to score in the first half for Glenhest was when Chris Rowland found space in the box on 37 minutes, and with the Erris Keeper committed, his shot went just wide of the post. It’s back to league action against Ballyheane next up. TEAM- Harry Reilly, Einri Healy, Tom Ivan, Micheal Meeneghan, Noel McLaughlin: Ryan Ruddy, Eamon Carey (Capt), Brendan Nallan, Kyle O’Reilly: Jason O’Donnell, Jamie Flannary. SUBS USED-Stephen Nallan for Jamie Flannary & Pete MacArthur for Einri Healy on 69 minutes with Padraic Doherty for Eamon Carey on 81 minutes. Erris Under 13’s had their sternest test yet against Ballyheane on a gorgeous evening at Carne Nash. 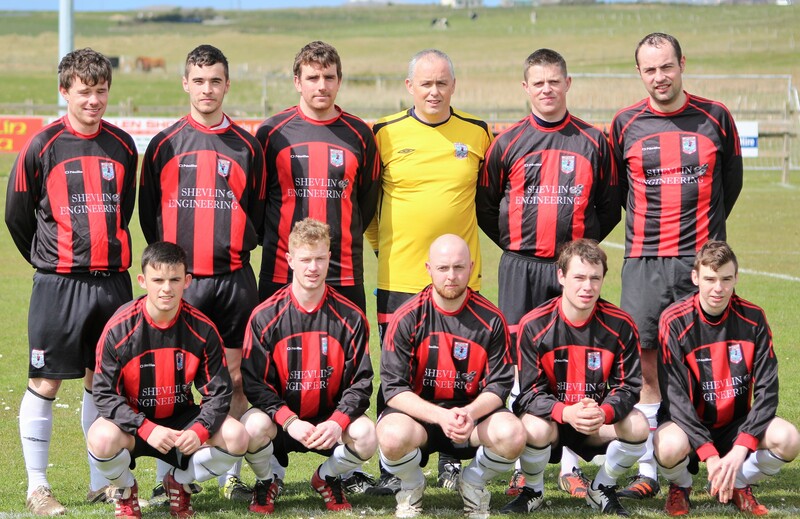 Erris missed several opportunities to score and were made to pay as the visitors took the lead after ten minutes. This was the first time Erris had been behind in a game all season and the packed stand was anxious to see how they would respond. Sluggishly, was the answer, as chance after chance went begging. Eventually, Molly O’Connor dinked a ball through to Dylan Togher who made no mistake. 1-1. Waiting patiently on the bench was Adam Conroy, who due to injuries and confirmations had missed the early part of the season. He had his new boots on and wanted to test them out. Erris continued to struggle, Adam looked at managers Lenny and Des and wondered how much longer this would go on. 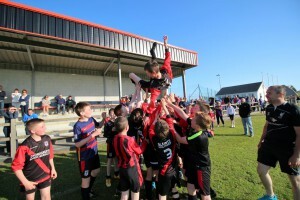 The substitution was made and within thirty minutes, Adam had scored a hat trick and Erris were home and hosed. Ciaran Cawley got the goal of the night, which along with a late consolation goal made it a final score of us 5 them 2. 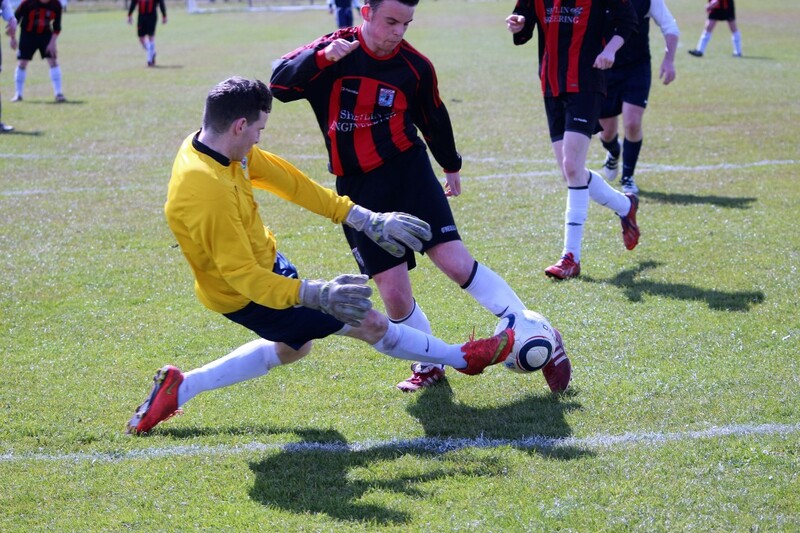 Connor Barrett defended magnificently, Eoin Walsh was inspirational and Tony Lavelle controlled the midfield. Much of our frustration was caused by an Erris man as Luca Meldrum (Sarina Reilly’s lad) was outstanding in goal for Ballyheane. Owen Doherty made an incredible goal line clearance as he somehow hooked the ball over the bar when the whole world thought it was going in. The problem was, it was their goal line as another chance slipped by. The rules in training are that if you miss an open goal then you kneel down and recite a Hail Mary. Owen, Tony and Dylan, amongst many others, went home with their rosary beads as they will have decades of them to offer up to make up for all the missed chances. No training this weekend, check your newsletter and go to mass, it might be of more use to us. Comments Off on GUESS WHO’S BACK? 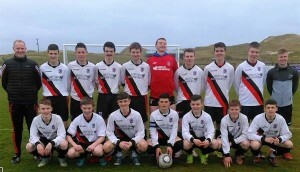 Iorras u17 came out 3.2 winners over Ballina Town in Carnenash the 18th after a ding dong battle. Iorras took an early lead after a John Linehan cross was side-footed by the on rushing Eoin McDonnell to the back of the Ballina net it, this was no more the Iorras deserved after dominating early exchanges. 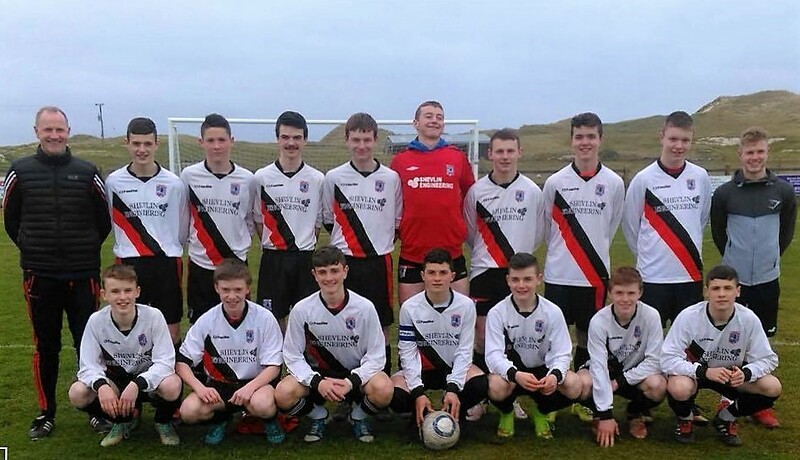 Erris United U17 continue to impress. Ballina equalized just before half time after a great free kick from long distance came back off the crossbar and Iorras were caught dozing as the rebound was tucked away. Mikey Lavelle gave Iorras the lead again after he picked up the ball on the left wing Mikey curled a beauty into the top corner, Iorras had chances to pull further ahead with good chances falling to Mikey Lavelle, Luke O’ Reilly, Aran Reilly, John Linehan and Eoin McDonnell but Ballina leveled again after a misjudgement from the Iorras goalkeeper which gave Ballina a soft equalizer (Didn’t stop Fionnan smiling though) enter Padraic Cowman picking up the ball near the half way line, Padraic s amazing run past 3 or 4 Ballina players ended with a thunderous shot to corner of the Ballina net to spark scenes of celebration,next up for u17s Castlebar Celtic away.